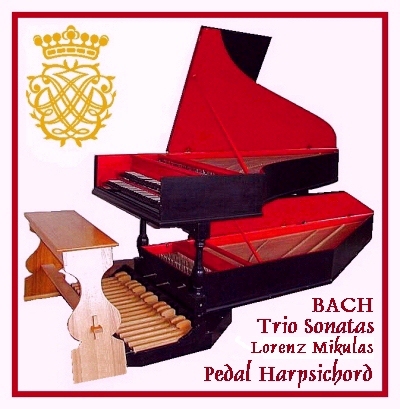 Bach's title Six Trio Sonatas for "two Keyboards and Pedal" (für zwey Claviere und Pedal) can include the organ, pedal-harpsichord, or pedal-clavichord, both of the two latter instruments being common in the homes of organists especially. 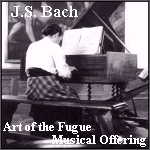 Organ practice was difficult in baroque times; churches were cold and damp, and someone had to be cajoled or hired to work the pumps which supplied wind to the organ. 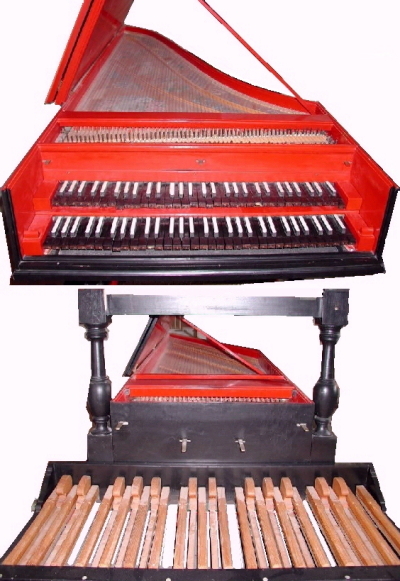 A harpsichord or a clavichord with pedal-board would permit the organist to practice both the manual and the pedal parts in the warmth and convenience of home. 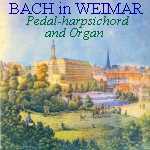 Another point which may be made about the pedal-harpsichord, one on which there is wide agreement among those who play the instrument, is that it is far more demanding than the organ. 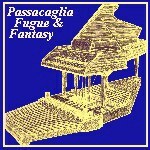 The precision and clarity of the pedal-harpsichord, heard in close proximity to the player without the confusion of resonating acoustic, requires considerably more precision. 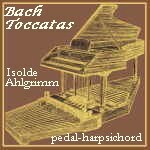 Several professional organists of high standing whom we have recorded have quietly gone away for further practice when confronted with a pedal-harpsichord. 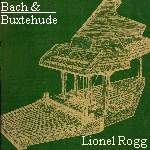 Forkel, Bach's first biographer, who drew heavily on the reminiscences of Carl Philip Emmanuel Bach, states categorically that Bach composed these Trio Sonatas in order to perfect the pedal technique of his son Wilhelm Friedemann, an objective which, as Forkel further adds, appears to have been admirably achieved. 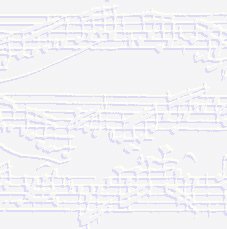 Despite the lively, tuneful character of these almost dance-like pieces, they do in fact conceal a wealth of technical difficulties, almost traps, for the player, particularly in demanding total independence of hands and feet. Complex rhythms and note values are set in deliberate conflict as between hands and feet. The Baroque Music Pedal-harpsichord Collection. Click the images for full details.